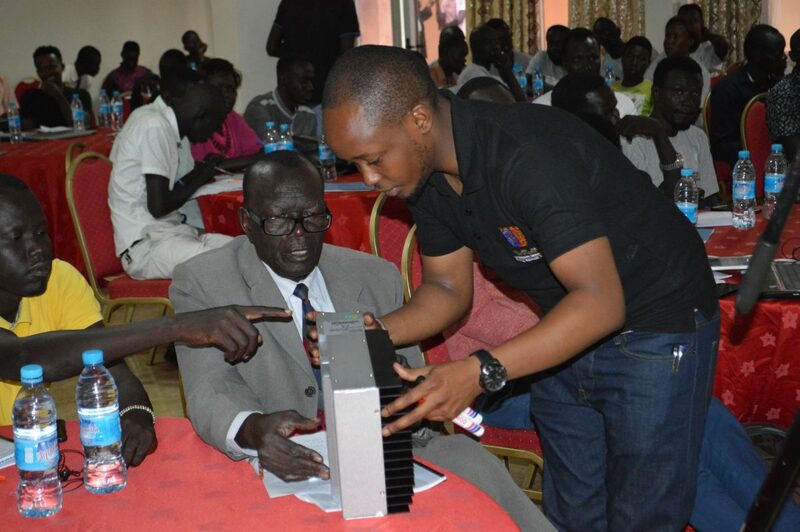 The training attracted a mix of participants from experienced solar technicians, students from the local universities and technical training institutes to solar vendors and NGO staff. The program was launched by Minister of Dams and Electricity Dr. Dhieu Mathok Diing Wol and Prof. Ajuoi Magot Chol who is the chairman of the board of directors RECOSS. Strathmore Energy Research Center contributed to the larger goal of the Enterprise Development of Jobs Programme who funded the training through Kube Energy under the Norad grant so as to alleviate poverty through capacity building in renewable energy. Strathmore Energy Research Center worked hand in hand with the Energy Peace Partners (EPP) and the Renewable Energy Peace Partners (RECOSS) to deliver the Solar PV systems Training in South Sudan.